Mohamed Essalih Boussouar was born in Biskra, Algeria, in 1990. 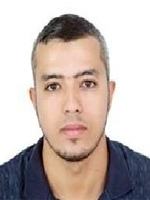 He received the BSc in experimental sciences and Master degree in Electrical Engineering from the University of Biskra, in 2015 . Currently he is a PhD Student at the same university. His research interests are related to speed sensorless control of a synchronous reluctance machine.